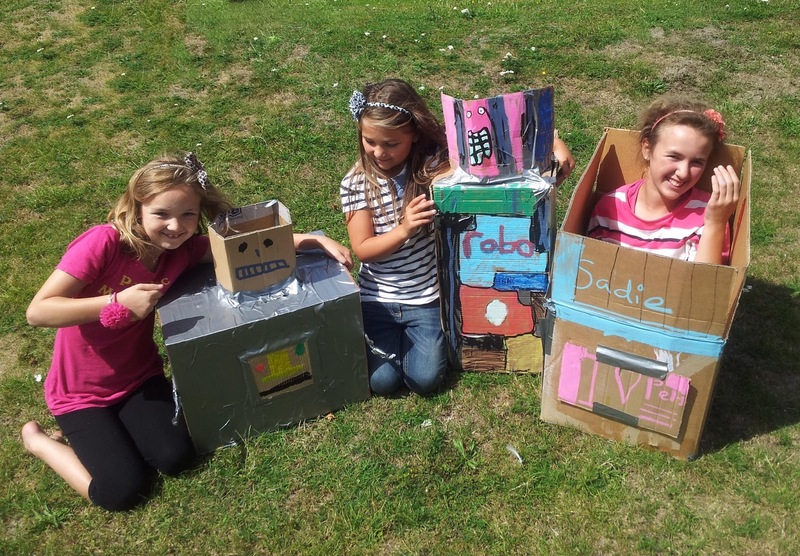 Today was the day 2 of the Codes 4 Kids pilot project located in Bevendean which is a collaboration between Code Club, Exploring Senses, and has been seed funded by City Camp…..check our early blog post about how this happened! 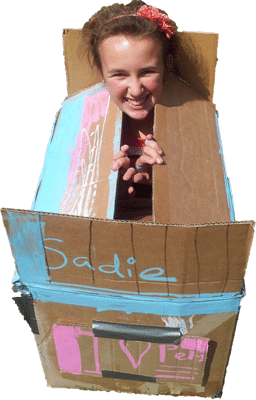 The kids have been getting really stuck in with learning Scratch, making some really cool stuff, and a few have even whizzed ahead on the projects and started making their own games and experiments already. 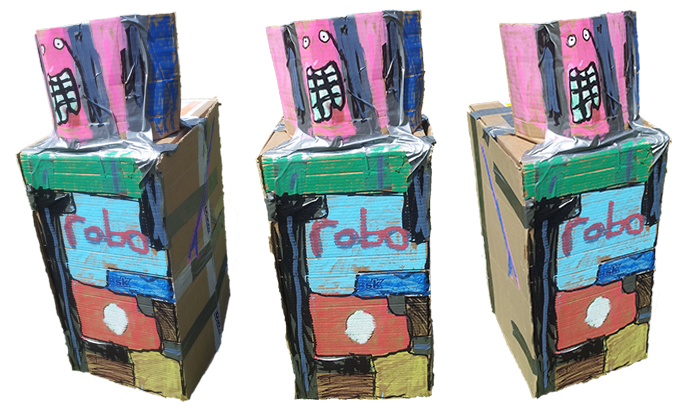 In the afternoon, some of the kids got a bit crafty and made some awesome cardboard robots, which we can now use as characters in our further adventures with Scratch.